Big Bones is an all breed, 501(c)3 non-profit dog rescue located in Windsor, Colorado dedicated to helping dogs in need and focused on rescuing dogs from high kill areas. While their hearts lie with the giant breeds, their mission is to save dogs from death, illness, and misfortune regardless of their size, age, breed, or health status. Big Bones is 100% run by volunteers, who personally invest their time and energy for the greater good of all dogs in their care. 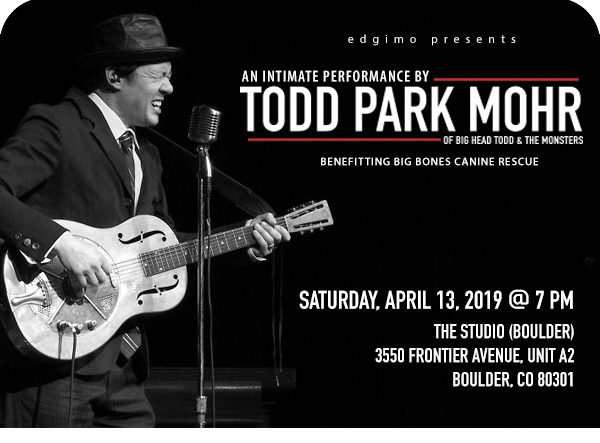 Todd Park Mohr is the lead singer, guitarist, and songwriter for the Colorado-based rock band, Big Head Todd and the Monsters. The group took their name in 1987 and became a national phenomenon after the release of their third studio album "Sister Sweetly." While they enjoy a robust fan base around the country, their success is outsized in Colorado, where they’re practically the unofficial state band. A status that is evident in their ability to sell out Red Rocks, the most revered amphitheater in the nation, where they have headlined 19 times. 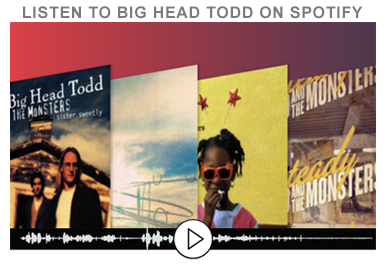 It is clear is that Big Head Todd is one multi-headed rock monster, easily traversing the most accessible hooks and the heaviest grooves. Park Mohr's solo performances lean on his love of the blues and include Big Head Todd and the Monsters' popular songs. Copyright © 2019 edgimo Web Design & Development, All rights reserved.